Initially I thought I’d found plenty to love about this one, but with just over five hundred pages, I found my interest lagging midway, not feeling the pull to devour it. I think it comes down to the structure. Basically a road trip story, a bunch of mini plots were compiled together, leading towards the main issue plaguing main character, Amber. New characters kept being introduced at each different town they visited, and then dropped as they went on to the next. It got to the point where I just wanted the main plot resolved so I could move on to something different to read. Initially, I thought the book was great. I loved the idea of cannibal demon parents chasing down their daughter, trying to eat her. I also loved the fact that the daughter was a demon. I didn’t, however, like that she was repeatedly told how ugly she was, but then reassured that she was beautiful when in demon form. I could have done without all of that. I was also a bit off put by how quickly Amber took to shifting back and forth between her demon and human forms. But then again, I probably would have complained had we spent chapters training. Her companions, Milo and Glen, they were a bit more interesting. Milo, the mercenary, hired to protect her, was quite reserved, keeping up the mystery about him and his old Charger that they drove around the country in. Glen, he was a goof. Inserted into their lives as comedic relief, his antics kept me thinking ‘how has he survived this long?’ His presence, while annoying at times, helped to bring Milo and Amber closer as they bonded over their mutual irritation with Glen. With enough supernatural themes inserted throughout, it’s easy enough to feel like you’re reading a novelisation of Supernatural, the TV show. It’s not identical, but it wouldn’t be hard to slide these characters into their own side story ep of the show. The gore is here, the lore is here…and then there’s the car. Yes, it feels like the author was a fan. I am as well, which is probably why I ended up reading this one, but I was never 100% on board with Amber to the point where I could have said I loved it from start to finish. Giving a character flaws helps make them real, but sometimes the inconsistencies in their actions just bug you as a reader. 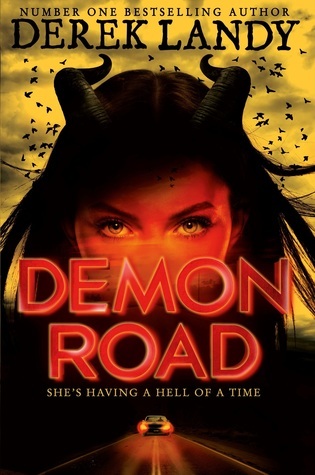 I could understand that Amber’s demon side clouded her judgement and made her make decisions that she otherwise probably wouldn’t have, but it wasn’t always her demonic side making the poor choices. It just felt like occasionally she would be quite concerned with protecting others, but then sometimes just leave them to the wolves (or some other terrible fate) in favour of looking after her own interests. I just couldn’t reconcile her reasoning. And with that, I feel happy in having finished this book. It tied things up enough for me to leave behind this series and the semi-cliff-hanger that it ended on.